Using special purpose made jigs and tools produced in out Tool Room, we undertake a wide range of component assembly work to meet individual customer requirements. We form strip components onto wire forms. 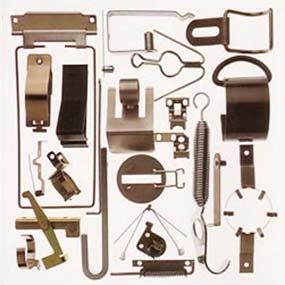 We rivet, cement, spot weld, braze and assemble stampings and flat springs made from two or more components. Many of our customers appreciate the convenience of obtaining everything from one single source, from development to production and assembly. 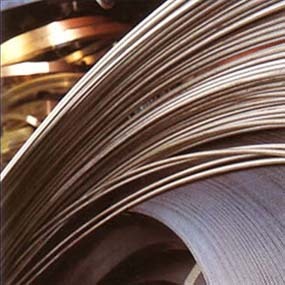 We produce springs in virtually every available material, and through our approved sub-contractors, we can offer customers whatever surface finish is required. Available finishes include rumbling, polishing, shot peening, sandblasting, oiling, phosphating, electroplating and plastic or powder coating. Our manufacturing capability allows the production of samples and prototypes, small batches or large production runs. Our production techniques range from automatic manufacture meeting stringent quality controls, for large production runs, to the use of hand-operated jigs and fixtures under the control of highly skilled operatives, for smaller runs and hand-made prototypes.